Many couples have chosen Martineau Belle Playa for their dream tropical destination wedding based on it’s oceanfront location and luxurious accommodations. Also, many companies have chosen our villa for their special events, group dinners, employee bondings and other celebrations. 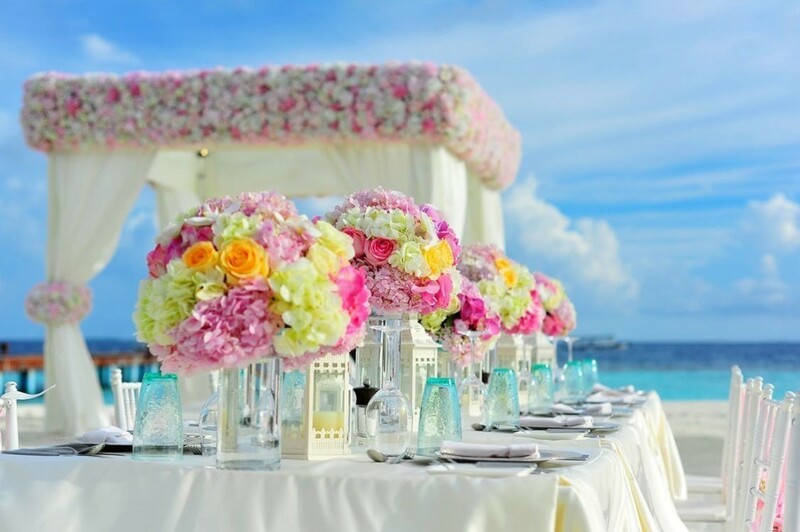 At Martineau Belle Playa you will be saying “I Do” with a breathtaking blue background, soft cool breezes and the serenading sounds of the ocean. Have your Vieques wedding at the small beach cove just steps away from the villa or say I do at the tiled patio by the pool. We work with an great team in Vieques that will assist you with the planning of an unforgettable dream Caribbean destination wedding. See wedding gallery photos. Feel free to contact us with any questions. We will be honored to have your celebrate your special day at Martineau Belle Playa. We advise you to book your wedding far in advance for the best availability. Martineau Belle Playa is the perfect venue for birthdays, family reunions and other events. We look forward to helping your create unforgettable memories for your special event. Additional fees apply to special events.